Welcome to the angry sharks arena, kill the hungry shark and defend your boat for your survival, it is a simple, adventurous, challenging, interesting and addictive game. In this game, you have different type of weapons to take revenge from these sea monster bull sharks. 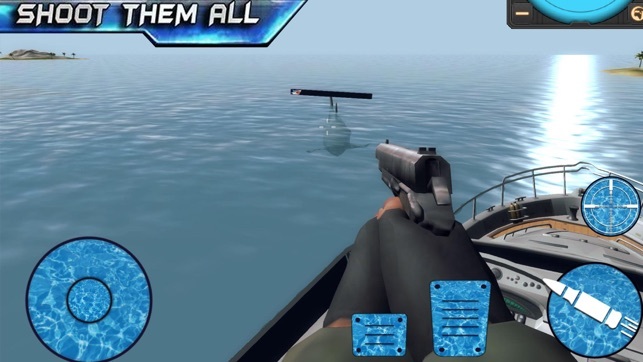 Not only deep sea dive, boat driving and sand shark hunting game in the sea but also have amazing missions underwater while having sniper gun for attack and hunting like a PRO hunter. Enjoy the Deep dive in blue sea and experience the underwater sand shark shooting and hunting the sea monsters by your sniper guns and others weapons you also have arrow and bow for bull shark hunting and driving your boat. 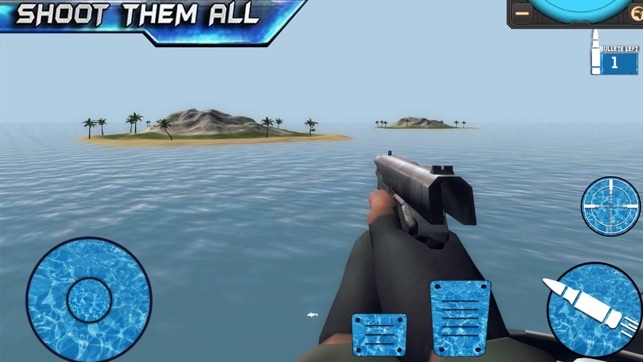 - Epic sniper shooting game also having deep sea dive. - More weapons to shoot the sea monsters as PRO killer. - Smooth and Feasible controls help from angry shark attack. It’s a great idea for a game, I mean who doesn’t want to go hunting sharks, it could be great but it is new so it has work to do. First, some of the guns are messed up the scoped Assault Rifles scope doesn’t work and the bows arrows sometimes go through the shark. Not to mention an ad will play at the end of every mission and EVERY TIME YOU PAUSE THE GAME. I mean I get they need to make money somehow, but the ads are far to extensive.